Genome-Wide Association Studies have identified several loci associated with breast cancer (BC) in populations of different ethnic origins. One of the strongest associations was found in the FGFR2 gene, and MAP3K1 has been proposed as a low-penetrance BC risk factor. In this study, we evaluated the associations among FGFR2 SNPs rs2981582, rs2420946, and rs1219648; and MAP3K1 rs889312, with BC risk in 351 BRCA1/2-negative Chilean BC cases and 802 controls. All the SNPs studied were significantly associated with increased BC risk in familial BC and in non-familial early-onset BC, in a dose-dependent manner. Subjects with 3 risk alleles were at a significantly increased risk of BC compared with subjects with 0–2 risk alleles, in both familial BC and early-onset non-familial BC (OR = 1.47, 95 % CI 1.04–2.07, P = 0.026 and OR = 2.04 95 % CI 1.32–3.24, P < 0.001, respectively). In the haplotype analysis, the FGFR2 rs2981582 T / rs2420946 T / rs1219648 G haplotype (ht2) was associated with a significantly increased BC risk compared with the rs2981582 C / rs2420946 C / rs1219648 A haplotype in familial BC and in non-familial early-onset BC (OR = 1.32, 95 % CI 1.06–1.65, P = 0.012; OR = 1.46, 95 % CI 1.11–1.91, P = 0.004, respectively). When the FGFR2 ht2 and MAP3K1 rs889312 were evaluated as risk alleles, the risk of BC increased in a dose-dependent manner as the number of risk alleles increased (P trend <0.0001), indicating an additive effect. Nevertheless, there is no evidence of an interaction between FGFR2 ht2 and the MAP3K1 rs889312 C allele. These findings suggest that genetic variants in the FGFR2 and MAP3K1 genes may contribute to genetic susceptibility to BC. The authors thank the families who participated in the research studies described in this article. We acknowledge the Breast Cancer Group of CONAC: Maria Teresa Barrios, Angelica Soto, Rossana Recabarren, Leticia Garcia, Karen Olmos, and Paola Carrasco; and Lorena Seccia for her technical assistance. 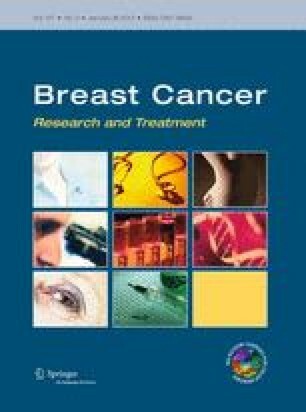 Authors received the grant sponsor from Fondo Nacional de Desarrollo Científico y Tecnológico (FONDECYT)/Corporación Nacional del Cáncer. Grant number: 1110081.